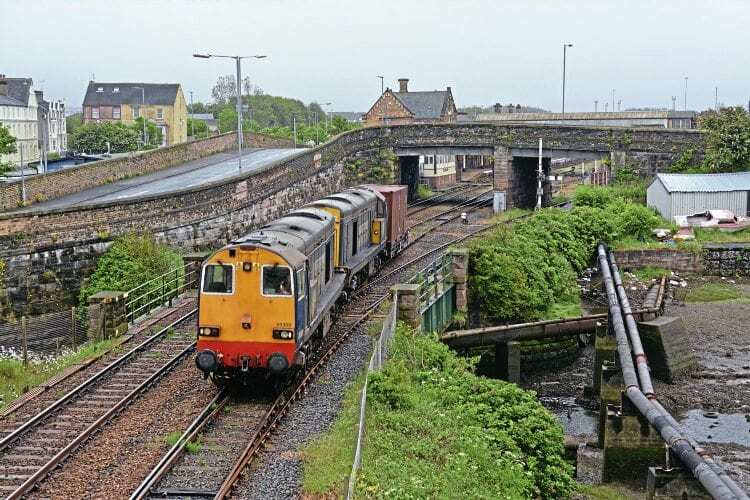 DIRECT Rail Services has issued a tender for the sale of three Class 20 locos together with four ex-Virgin Mk2 carriages, used as barrier vehicles, and 12 Mk3 bogies. Nos. 20304/308/309 have been in store at Barrow Hill for around a year, and the sale will leave just five Class 20s – 20301-303/305/312 – on DRS’ books. All three locos being sold have worn wheelsets, and after a long period in store could have other faults, too. No. 20308 has badly corroded bodywork. The Mk 2s – Nos. 6354/55/58/59 – are in store at MoD Longtown. Closing date for the tender is February 9.